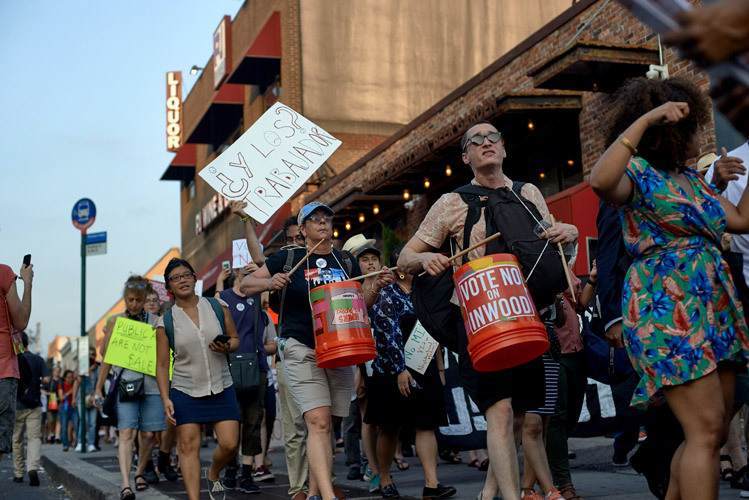 Tensions over the planned Inwood rezoning came to a boil on Monday evening, as community members staged a rally and march against the latest iteration of the plan, and called on the City Council to vote no. 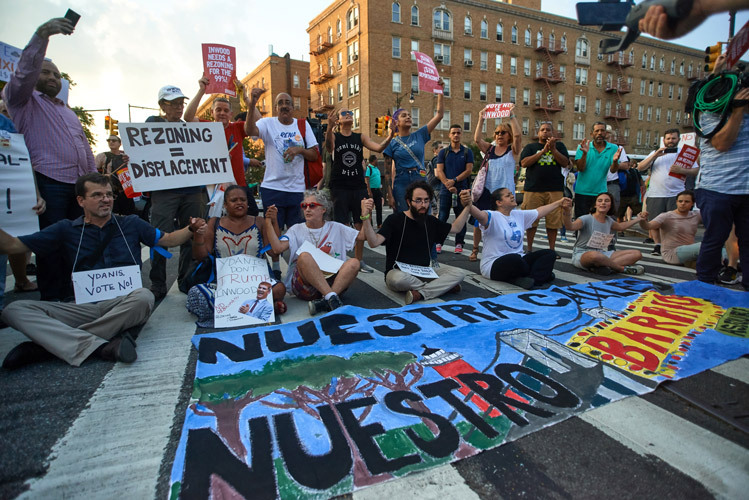 Protestors assembled under the 1 train stop at Dyckman Street, then marched throughout the neighborhood, wielding chants and signs that implored local Councilmember Ydanis Rodríguez to further modify the plan to benefit the community. 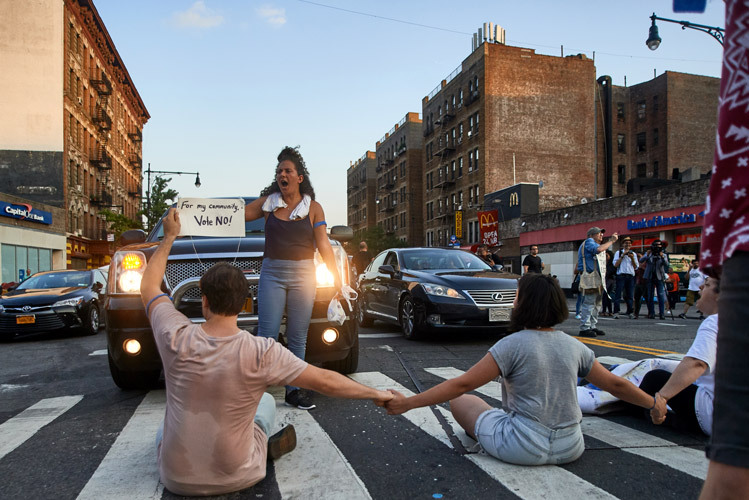 As the contingent reached the intersection of Broadway and Dyckman, several protestors locked arms and sat down in the street, blocking traffic. 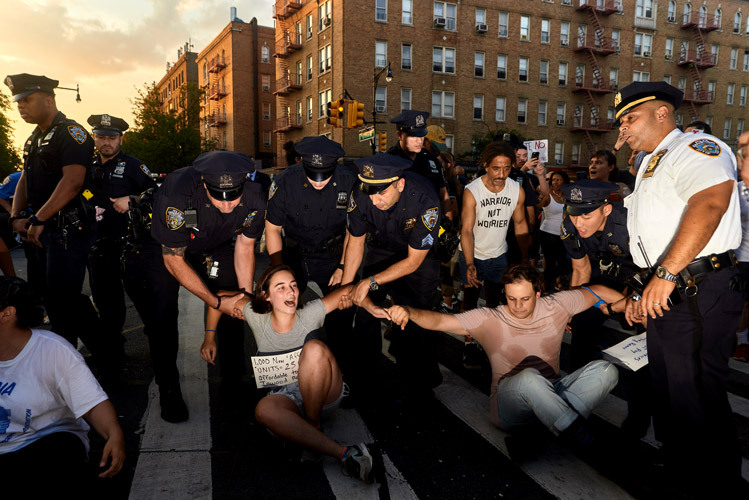 Police arrested nine people – eight Inwood residents, and one from East Harlem. 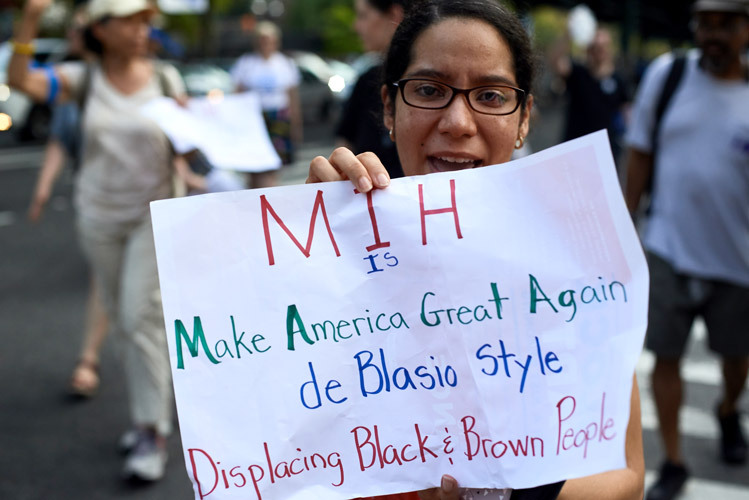 Most of the protestors were released later in the evening. 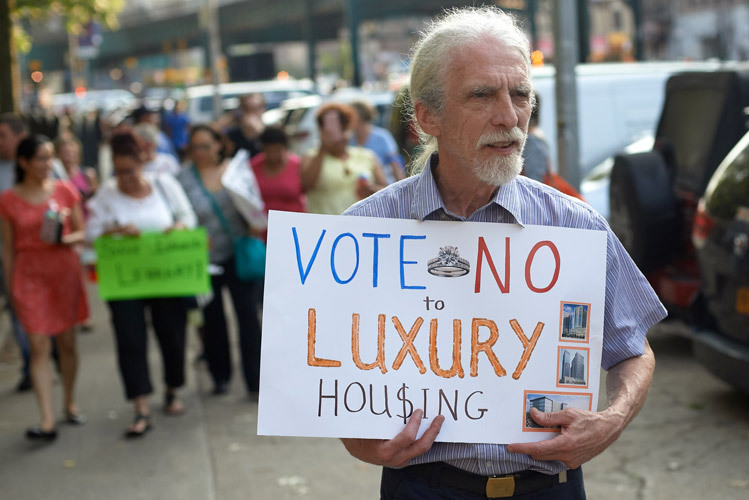 Several activists spent the night there in protest of the rezoning plan.